This independent survey had been commissioned by the POA and had been conducted by Professor Gail Kinman and Dr Andrew Clements of the University of Bedfordshire. 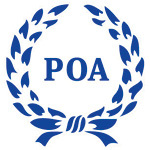 On the 19th November 2014, the National Executive Committee of the POA/UK launched the results of the Independent Survey in the UK Parliament. Professor Kinman presented the findings to MPs, NOMS and Trade Union Leaders, which were damning against all Employers where the POA recruit and organise. That this House welcomes the independent report into work-related stress amongst prison officers commissioned by the Prison Officers’ Association and conducted by Professor Dr Gail Kinman, Dr Andrew Clements and Jacqui Hart from the University of Bedfordshire; is deeply concerned at the findings of the report which irrefutably demonstrate the crisis which the prison system is now in, and the huge burden being carried by the staff and their families and the resultant impact upon prisoners and public safety; notes that the level of stress amongst prison officers is clearly in excess of that in other comparable services, that 65 per cent of prison officers often thought about leaving the prison sector, and that the Prison Service is failing to meet the widely recognised benchmarks of the Health and Safety Executive for wellbeing at work; further notes with concern the current record levels of the prison population, and the accompanying increase in prisoner suicides and assaults on staff; and calls on the Government to conduct an urgent inquiry into the prison system and the terms and conditions of those trying to professionally carry out an important public service under the most difficult of circumstances. Eurofedop supports the actions of the POA and will transmit the study to the EU-OSHA, Dr. Christa Sedlatschek, Director, within the framework of the campaign presently conducted by the EU-OSHA on “managing stress”.